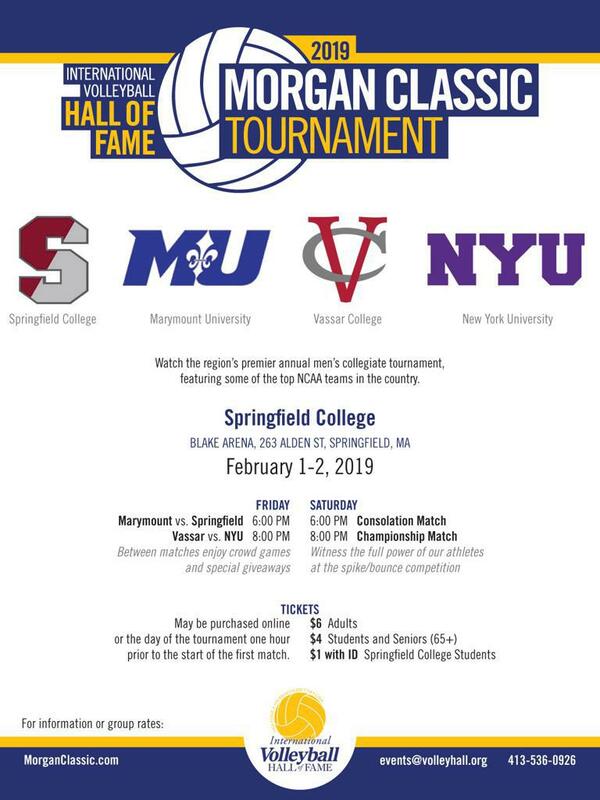 The International Volleyball Hall of Fame presents the 2019 Morgan Classic Collegiate Men's Volleyball Tournament with two nights of competition this weekend in Springfield, MA as well as a players clinic and a coaching clinic. $1 tickets for this top regional men's event are available to NERVA members - just mention NERVA at the ticket counter for the reduced admission rate and enjoy the exciting match action, crowd games, and prizes! Go cheer for SMASH Boys alum, SMASH Camp coach, and New York University All-American MB/OPP Neil Ferraro!